Purchasing insurance can be overwhelming. Definitions, conditions, coverages, exclusions, and endorsements can definitely cause confusion and possibly give you a headache. And purchasing insurance isn’t exactly exciting or fun. But imagine your life without it. Imagine losing everything you own to a fire and not having insurance to help get your life back on track. You’ve probably heard me say that I’m an insurance geek. When I ask people who their insurance company is, they usually answer, “I don’t know,” or they give me their local agent’s name. If there’s a loss to your home, auto, or business, the last thing you want to have to do is figure out who’s your insurance company and who’s your agent and how they help when your life’s been turned upside down. The purpose of this blog is to share different things to consider when deciding where to place your insurance business. 1. Independent agent vs. insurance company. As I mentioned, people aren’t always sure who their insurance company is and who their agent is. 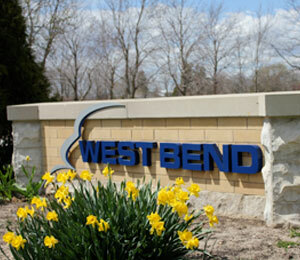 West Bend’s products are sold by independent insurance agents throughout the Midwest. Not only do they sell our products, they also sell other companies’ products, too, including West Bend’s competitors. The job of the independent agent is to find an insurance company that best fits your insurance needs. This isn’t as easy as it sounds. Pays claims should a loss occur. Please note that an insurance policy is a contract. What’s covered and not covered is specified in your policy. Please be sure to read your policy and talk to your independent agent so you know how a future loss may be covered. It’s unlikely you’ll find a company with only positive reviews. If the information doesn’t answer all your questions or leaves you feeling not quite right about them, research another company. As with other purchasing decisions, you should be comfortable with your decision. 3. Understand the insurance company’s financial strength. If there’s a difficult claim situation, you don’t want to hear your insurance company can’t pay your claim because of its poor financial results. Many insurance companies work with independent rating agencies that review many factors and the financial results in order to assign a letter grade or score. Since 1971, West Bend has been rated A (Excellent) or better by A.M. Best Company which is recognized worldwide as the benchmark for assessing insurers' financial strength. 4. Coverage. Select an insurance company that provides appropriate coverage for your personal or business needs. 5. Price. While price should be a consideration when purchasing insurance, it shouldn’t be the only one. Remember the old saying, “You get what you pay for.” There are many reasons why pricing differs between insurance carriers. A lower price may mean you have less coverage. Less coverage means more money out of your pocket when a loss occurs. A lower price may also mean that insurance carrier has entered a new market for them so it may not have the experience another insurer would. Please talk to your agent about the differences. West Bend also offers discounts for associations, groups, or corporations participating in our innovative Association Plus® program. 8. The power of referrals. Each day we’re inundated with marketing and advertising messages that can be overwhelming. Talk to family, friends, and co-workers to learn about their experiences with an insurance company.